With the average roof needing to be replaced on average every 10 years it is no wonder that homeowners are trying to find roofing material that lasts longer. Steel roofing is quickly becoming a favorite choice for homes and businesses because you can buy a metal roof that will last 30-50 years. In fact, many of the steel roofing materials available from Absolute Steel have a warranty on the paint fading, chalking or peeling for up to 40 years. Now if we can warranty the paint for that long how long do you think a metal roof from Absolute Steel will last? A darn long time is what that answer is! A metal roof offers many advantages over shake and shingle roofs. 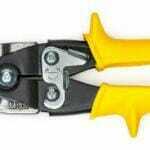 For starters they are much more durable and require very little maintenance. Steel roofing is very easy to install and usually requires no expert help to get them installed. As long as you follow the instructions provided there is no way to go wrong. The panels are precut except for the angles which need to cut in the field and then put together with fasteners that attach onto your roof deck. When putting metal roofing over existing roofs, be sure to order longer fasteners so they reach down into the roof decking. A house with a steel roof can shed water more easily than other materials, meaning that new homes with steel roofs require less steep of a pitch to the roof. 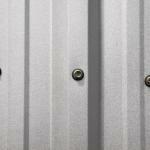 Metal roofing is lightweight, making it easy to install. In most cases a steel roof can be installed right over the existing roof, saving you the time and expense of removing the old roofing material. Getting your steel roofing panels up on the top of your home is a breeze since they weigh much less than shingles. 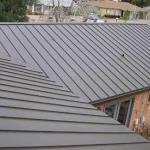 The new metal roofs come in all types of colors and patterns. 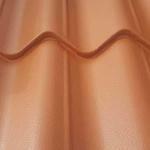 You can choose from virtually any color of the rainbow and your steel roof can be made to mimic tile or slate. If you really want your home to stand out you can go with a red or blue roof. There are even styles made to look like Spanish tile if that is what you are looking for. The possibilities are endless. Anyone who lives in an area that experiences significant extreme weather should seriously think about replacing their current roof with steel. Not only does steel withstand heavy winds, it also is fire resistant which is why it is preferred in areas that are often hit by forest fires. The strength of steel means that it provides structural support to the home, a great benefit if you live in an earthquake-prone area. 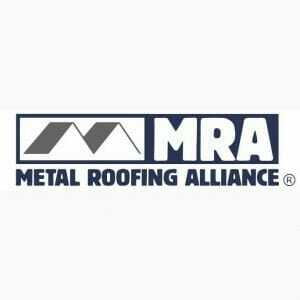 With all the advantages of metal roofing it is not surprising that it is becoming the top choice for builders and homeowners everywhere. Lightweight, adaptable and durable a metal roof saves you time and money. Once your steel roof is installed you can sit back and enjoy its beauty, and never have to worry about leaks, cracks or warping. Year after year your steel roof with remain looking great while protecting your home from extreme heat, cold, high winds and fire. Check out the variety of metal roofing available and decide for yourself if a steel roof is right for your home. Installation is a breeze and your new roof will stand the test of time.